JBL has released GO 2, its latest portable waterproof Bluetooth speaker. Want to enjoy your favorite music even when you swim in the pool? Let’s keep checking. 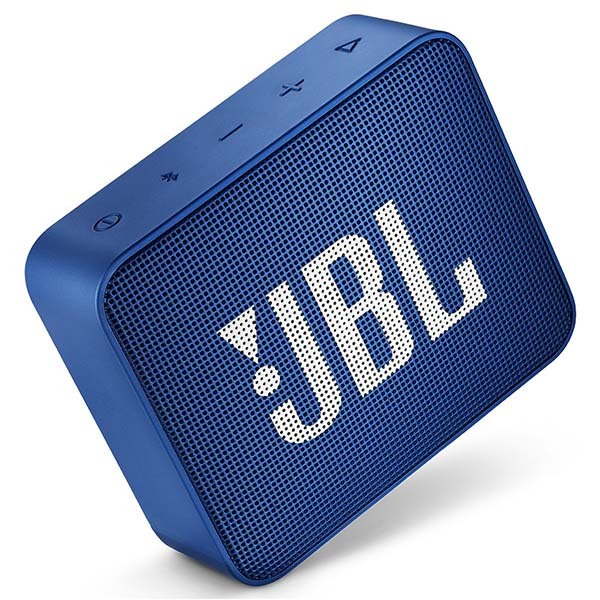 JBL GO 2 is a full-featured waterproof Bluetooth speaker that measures 2.80 x 3.38 x 1.24 inches and weighs 0.4 lbs. As shown in the images, the GO 2 sports a minimal and sleek appearance design, and the smooth edges and fully sized grill deliver enhanced elegance, while 12 optional colors ensure it meets every user’s preference. Meanwhile, the soap box-sized form factor allows you to effortlessly take it with you anywhere. JBL GO 2 comes equipped with one 40mm speaker driver with 3.0W output. Using built-in Bluetooth 4.1 technology, it streams high-quality wireless audio from your smartphone or tablet, and an extra 3.5mm audio input allows it to work with any music player with 3.5mm jack. Furthermore, built-in noise-cancelling speakerphone lets you make or answer handsfree phone calls. The IPX7 waterproof design even allows you to take it for swimming. Apart from these, its 730mAh rechargeable battery offers up to 5 hours of playtime in a single charge. 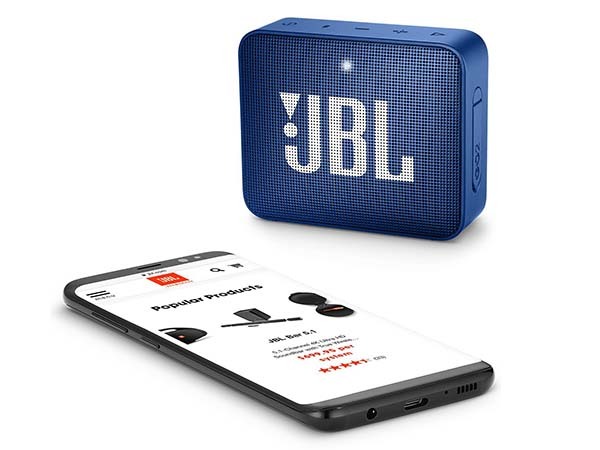 JBL GO 2 portable waterproof Bluetooth speaker is priced at $39.95 USD. If you’re interested, jump to Amazon or JBL for its more details.